For thousands of years we have employed Smoking Ceremonies to cleanse places and people of bad spirits to promote the wellbeing of our people as well as guests on Country. 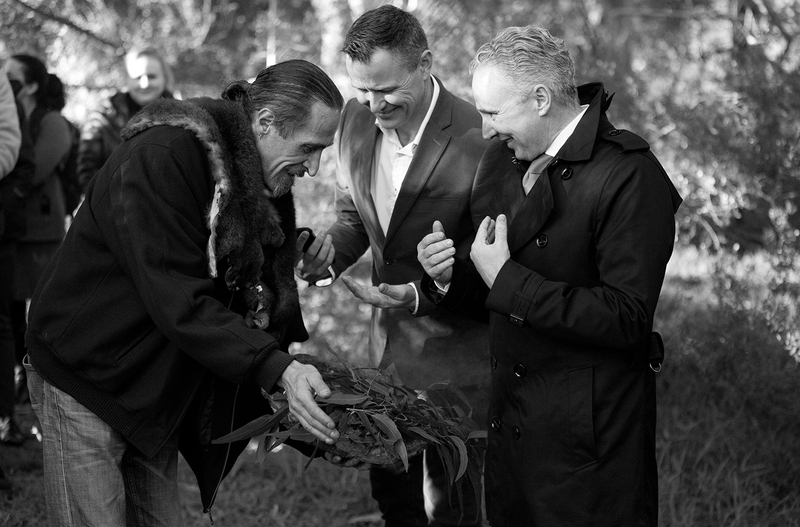 Contemporary smoking ceremonies may involve a Wurundjeri Elder and/ or a younger Wurundjeri community member carrying a portable tarnuk (wooden dish) containing coals and wet leaves around assembled guests. Alternatively, guests may gather around a dedicated smoking site. For full participation, those present will typically be invited to walk through the smoke for an individual cleansing. If requested, smoking ceremonies can form part of a larger Welcome ceremony.